There are so many things to love about writer-director Jordan Peele's second film, Us, and one of the most delicious is how it opens: with a positively early-Spielbergian flourish of childhood wonder smothered by sad reality. Little Adelaide (Madison Curry), who is perhaps 7 or 8 years old, is at a seaside amusement park with her parents — an indifferent dad and a mom frustrated and distracted by him — when she wanders off. And as a thunderstorm is ominously brewing in the twilit sky, she meanders alone into the creepy and deserted Shaman's Vision Quest funhouse, where she will endure a terrifying encounter with a very unexpected figure. Everything after that is... let's call it post-'80s Spielbergian. Almost literally: That opening segment takes place in 1986, while the rest of the film — with occasional brief flashbacks — is set today. Us could be seen, in the sense that it is partly about the lingering after-effects of childhood trauma, as a reply to early-Spielberg fantasies: How did the kids from The Goonies or E.T. grow up, and how did their experiences impact their lives? Looking askance at the pop culture of the past is all over Us with sneaky slyness: The Michael Jackson Thriller T-shirt little Adelaide's dad won for her at a fairway game, and which she instantly dons, rings with a new kind of horror in retrospect, with the knowledge we have today about Jackson. And yet Peele has only gotten started, in Us, on redefining horror and reworking notions of what should terrify and unsettle us. This isn't merely a same-old horror movie about jump scares and blood-and-gore, though it does have a smattering of both. As with his previous genius movie, 2017's Get Out, this one finds fear in places that are unexpected but which shouldn't be, for they are right in front of us and around us all the time. We've just trained ourselves not to notice them. It all adds up to a deeply unnerving cinematic experience on multiple levels. 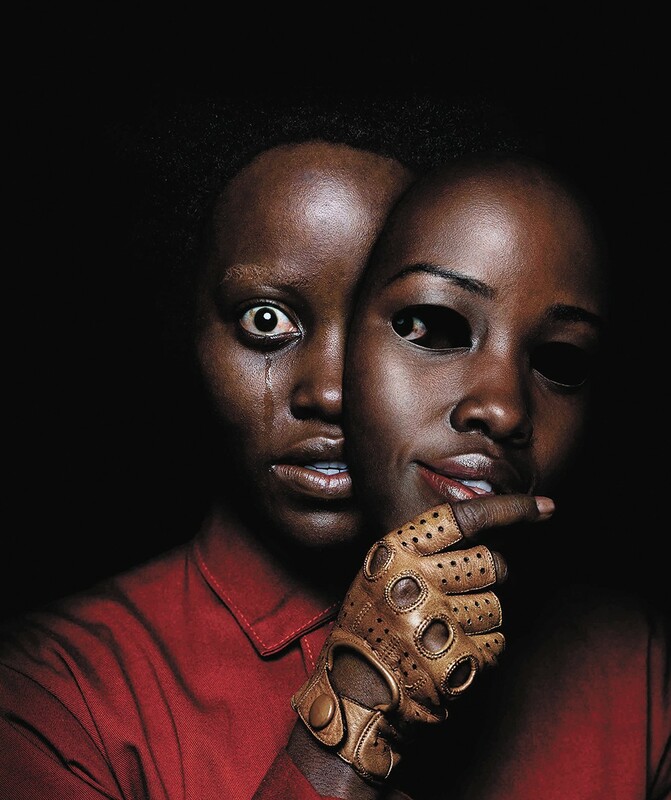 What happens is this: Present-day Adelaide Wilson (Lupita Nyong'o) returns with her family to the site of her childhood trauma, only to find herself in, ahem, what could be considered a sequel to it. That evening, the family — including her husband Gabe (Winston Duke) and their children, teen Zora (Shahadi Wright Joseph) and tween Jason (Evan Alex) — is subjected to a home invasion by a group of four people who are twisted mirror images of the Wilsons themselves. Who are they? What do they want? Where did they come from? How do they even exist? What the actual hell? It's so wonderfully rare for a horror movie to leave you unable to actually determine what sort of horror you're in the midst of. Us does not fit into any existing paradigms, not even the home-invasion one it appears, at first glance, to be playing with. (This is, perhaps, a smidge adjacent to the zombie movie, but more reminiscent, at least obliquely, of the Purge series in its social-justice resonances.) As Peele begins to answer questions he has raised, things get weird, funny, uncomfortable, damning and more disconcerting the more you think about them. Us is a movie of complex moving parts that fit together in ways that aren't always clear at first, and some of which become more intriguing the deeper you start to worry at them. For instance, at first it seems that perhaps Adelaide's return to the scene of her trauma is what prompts the events that follow. In retrospect, it's plain that that's not the case... so what did prompt those events? Is it mere coincidence? Or is there nothing "mere" about it? It's not much of a spoiler to say that the Wilsons' attackers are members of an underclass that has been ignored and deprived and treated with cruel indifference, which is thrown into sharper relief by the fact that the Wilsons are seemingly quite well off; it is, in fact, their summer getaway home that is invaded. It's not the bogeymen of "terrorists and perverts," as Jason has been taught to worry about, whom they need to fear, but something much closer. The original print version of this article was headlined "Double Trouble"